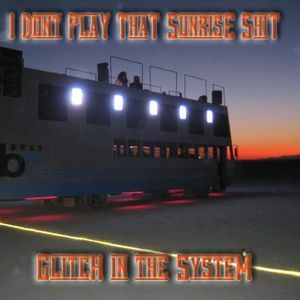 Join free & follow Psycache Z.
GiTS 083: I Don&apos;t Play That Sunrise S#%t! GiTS 083: I Don&apos;t Play That Sunrise S#%t!by Psycache Z.
Indisin, CARPENTERS, Heyoka, Protohype, Ample Mammal and more. This is my second attempt at playing a downtempo set. I succeeded at times, failed at others, but what the hell…it sounds good and it was fun! Thanks for all the support. Special thanks to James, Sam, Vanessa, Morgan, Cari, Becca,, Ben and Amber for the special reception when I arrived at the studio.